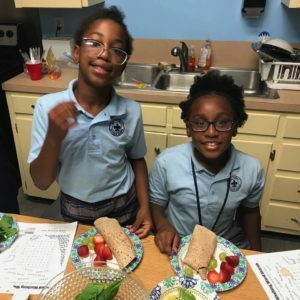 October 17, 2018 – Junior League of Lafayette’s Kids in the Kitchen committee spends two evenings each week, from September through April, teaching children from the Boys & Girls Clubs of Acadiana about healthy eating and healthy living. 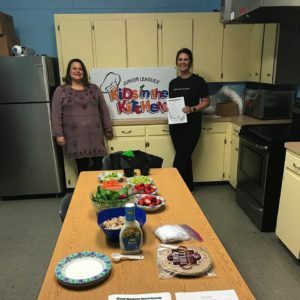 The committee kicked off the first Kids in the Kitchen event of the League year. Children at the Granberry Unit of the Boys & Girls Clubs of Acadiana learned how to make healthy wraps with fruits and vegetables. The committee then taught them all about the benefits of practicing yoga. Thank you to the Kids in the Kitchen committee for getting the year started with important life lessons.